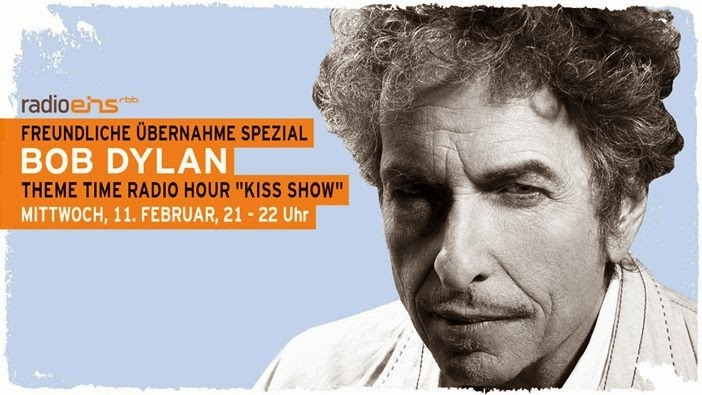 This is the Dreamtime podcast - occasional commentary on Bob Dylan's Theme Time Radio Hour weekly show. "Juneteenth Jamboree," sung by Fatso Bentley. As Dylan says on the "Summer" episode of "Theme Time," Juneteenth is the oldest celebration commemorating the ending of slavery in the United States. On June 19th Eighteen and Sixty-Five, 2,000 Union soldiers landed at Galveston, Texas with news that the war had ended and that the enslaved were now free. The people of Texas are informed that, in accordance with a proclamation from the Executive of the United States, all slaves are free. This involves an absolute equality of personal rights and rights of property between former masters and slaves, and the connection heretofore existing between them becomes that between employer and hired labor. Of course, this was two and a half years after Emancipation. However, Emancipation had little impact in Texas due to the small number of Union troops available to enforce it. But, with the surrender of General Lee in April of Eighteen and 65, and the arrival of General Granger's regiment in Galveston, the Union forces were finally strong enough to bring about freeing the 250,000 slaves in Texas. Slaves in Galveston rejoiced in the streets with jubilant celebrations. The first organized celebrations of Juneteenth were used as political rallies and to teach freed African Americans about their voting rights. Within a short time, Juneteenth was marked by festivities throughout the state. In the state capital Juneteenth was first celebrated in 1867 under the direction of the Freedmen's Bureau, and became part of the calendar of public events by 1872. Juneteenth declined in popularity in the early 1960s, when the civil-rights movement diminished interest in the event. But by the 1970s African Americans' renewed interest in celebrating their cultural heritage led to the revitalization of the holiday in Texas, and Juneteenth became an official Texas state holiday in 1980. Although Dylan is right that only Texas officially celebrates Juneteenth, thirteen other states list it as an official holiday, including New York, New Jersey, Connecticut, Alaska, and California, and there is ongoing movement to make June 19th a national holiday. That's Fatso Bentley again, singing "Worried Blues" this time around. Fatso is one of the more colorful residents of the Ol' Weird America that "Theme Time" seems intent on cataloging. 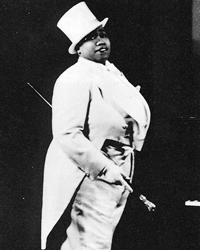 "Fatso's" real name was Gladys, and she's variously described as a bull dagger lesbian and/or male impersonator singer who performed in tuxedo and top hat while flirting outrageously with the females in her audience. Bentley was one of the stars of Harlem during the 1920s, performing at speakeasies and gay hangouts such as the Clam House, once described in the press as "not [a place] for the innocent young." Bentley eventually moved to California, where she sang in lesbian bars around Los Angeles and San Francisco, and in 1950, made guest appearances on Groucho Marx's TV show, You Bet Your Life. In 1950 she also claimed to have renounced her lesbian past through female hormone treatments. She married a [male] cook nearly 16 years her junior and was studying to become an ordained minister at the Temple of Love in Christ, when she died of the flu in 1960. She was 53 years old, and lived one hell of a life in those 53 years. This has been Fred Bals with the Dreamtime podcast - occasional commentary on Bob Dylan's Theme Time Radio Hour. This one has been for Jill and her family way down in Tyler, Texas. Keep the faith, baby.